Westcott is proud to announce the return of our popular Top Pro Tour! We are coming to a city near you to provide a full day of photography and video lighting education taught by the industry’s most highly-regarded professionals. 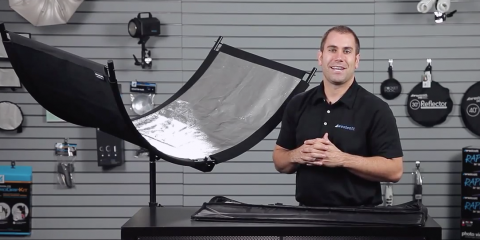 Each stop of the 2015 Top Pro Tour is hosted by a Westcott Top Pro who will share with you their expertise in an intimate, hands-on environment. These limited-seat workshops feature live lighting demonstrations that cover a wide range of lighting techniques and styles. Here, you will learn the essential tricks to create breathtaking images and will gain the insight necessary to run a successful creative business. This must-attend educational tour covers every style of still and motion photography, ranging from commercial portraiture to modern boudoir. Our renowned Top Pro team is eager to deliver the most beneficial information on the topics that matter the most, covering everything from location scouting and post-production editing to social media marketing and networking. A Westcott Lighting Expert will also be on-hand throughout the event to show off the latest lighting gear and answer whatever tech questions that you may have. You’ll leave the event with the inspiration and knowledge necessary to propel you ahead of your competition.